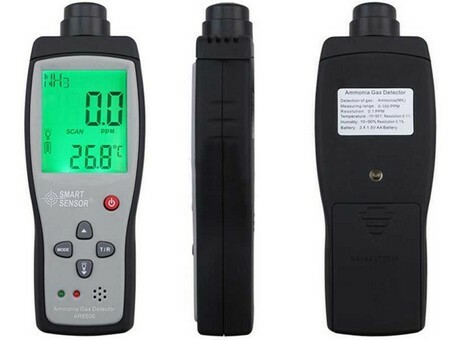 QA Supplies recently announced the release of the AR8500 Precision Ammonia Gas Detector which detects the presence of ammonia gas in the air to help determine the environmental quality of poultry farms, cold storage, or chemical plants. The company says that as the level of ammonia in the air can have a severe impact on the health of many animals, this is an important instrument for maintaining quality and safety. QA Supplies will showcase the Ammonia Gas Detector at the International Production & Processing Expo (IPPE) February 12-14, 2019 at Booth B6261. “The Precision Ammonia Meter is ideal for on-the-go agricultural and environmental experts who need an accurate, handheld device to measure ammonia levels in any environment,” said Russ Holt, Sales & Marketing Manager at QA Supplies. The sensor’s high range (0-100ppm) provides readings in environments over the typical maximum limit of 50ppm. An audible (80 db) and visual alarm are standard, and both have adjustable setpoints. “This alerts users at multiple points offering additional safety for the animals,” said Holt. According to QA Supplies, the meter has a durable, user-friendly design, and can be used on the farm, in refrigeration rooms, or at chemical plants. 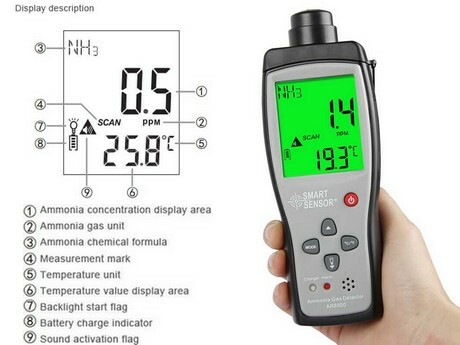 In addition to detecting ammonia levels, it also monitors temperature levels. Convenient buttons and a large LCD display provides users with easy to understand readings, as well, the company added. “The meter is one of the most accurate we have ever tested, and it is very easy to understand and use. It’s also extremely durable and charges quickly. We have carried several digital Ammonia meters over the years and this one performs better than most with a price tag that’s $100 to $200 lower than its competitors,” stated Holt. The device comes with a hard-carrying case, sensor cap rechargeable battery, and USB charging cable with a wall adapter. QA Supplies offers a manual for customers with operating instructions and warranty information. See QA Supplies at the IPPE February 12-14, 2019 at Booth B6261.